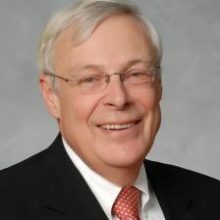 Richard Bruno, academic, inventor, senior executive and entrepreneur, began his career in 1971 as a university professor in solid state physics and joined N. V. Philips Germany in 1974 as a research group manager. Seven years later, he became a chief technology officer for N.V. Philips, first in the Netherlands and then in the USA. At Philips, for over sixteen years, he managed several disruptive product innovations such as: solar-energy collectors and control systems, heat-pump systems, energy storage devices, the Minitel terminal, Philips computer games & consoles and, the Compact Disc in its various formats. Each of these billion-dollar products positively impacted the lives of millions of consumers worldwide. a professor of epidemiology at the C.H. Ludwig Maximillian Universitaet (‘73-74) and of computer science at DePaul University in Chicago (’99-00). Richard has an extensive network of business contacts and, prior to 2004, he sat on numerous boards of major corporations as well as having been an advisor to venture capital groups in Canada, Europe, Japan and the USA. He has authored over a hundred and fifty publications, patents and books in fields as varied as solid state physics, epidemiology, clean-tech, software engineering, multimedia, cryptology, optical systems and chip set development.